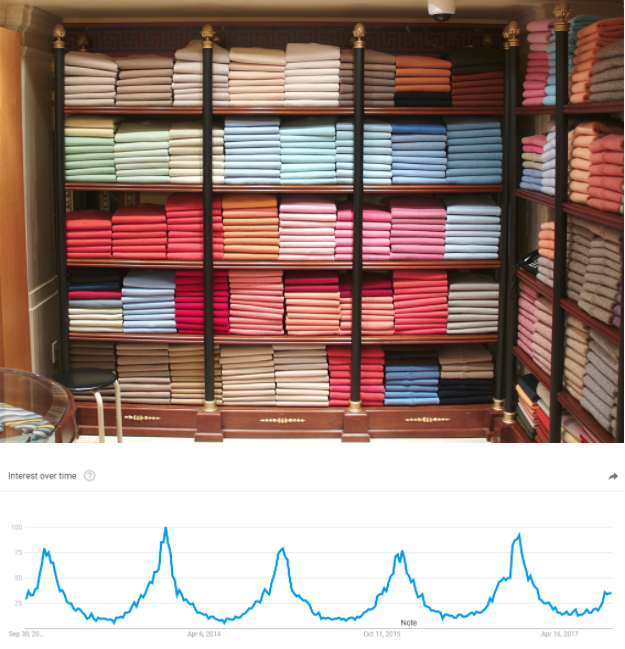 The holiday season is the best time for e-commerce store owners. Your customers are in a shopping frenzy, spurred by steep discounts and gifting traditions. 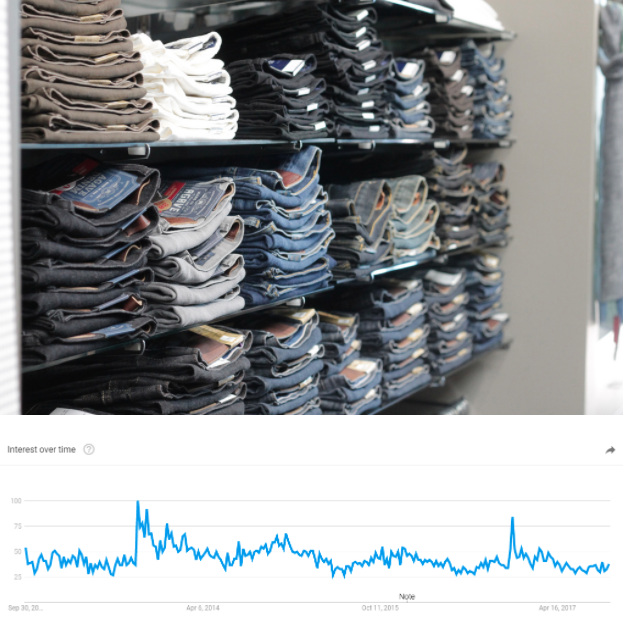 Retailers make as much as 30% of their entire annual sales in the holiday season alone. As a store owner, one of your bigger challenges is aligning your product selection with customer demands. Having the right products in stock at the right time can drastically improve your sales, especially in the peak shopping (holiday) season. To help you out, we’ve compiled a list of the hottest products to sell for the holidays in 2017, covering four categories — Electronics, Home & Kitchen, Clothing & Accessories, and Hobbyist products. 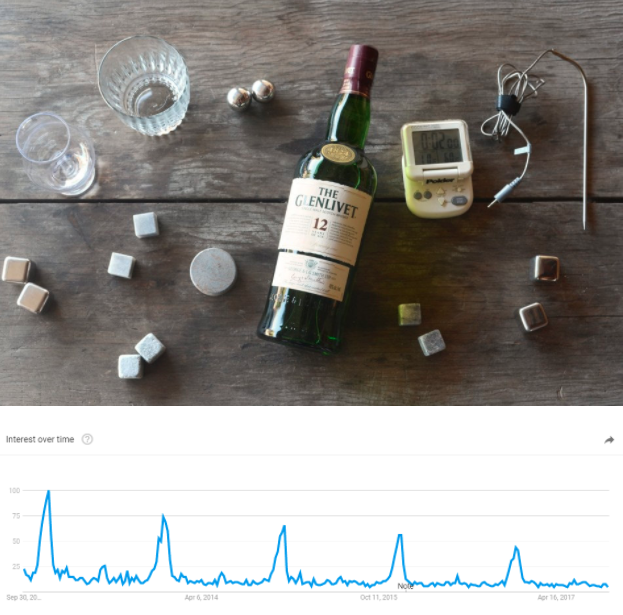 We’ve also included interest graph for each product based on data from Google Trends. Stock these products to maximize your holiday marketing returns. Promote them on Black Friday, Cyber Monday and beyond to get the most bang for your marketing buck. Electronics are a firm favorite product category come holiday season. If you sell electronic products, make sure that you have the following items in stock. 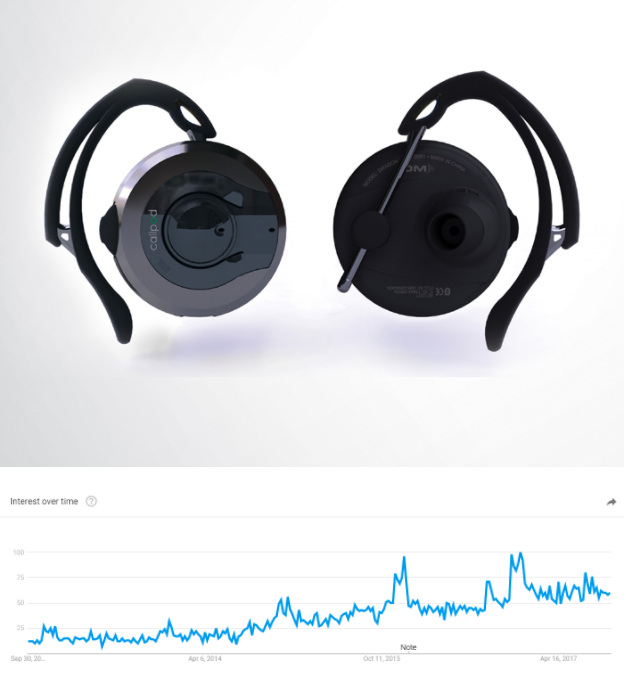 After Apple removed the headphone jack in iPhone 7, Bluetooth earphones exploded in popularity. Thanks to more efficient batteries, it is now possible to get 8+ hours of play on a single charge with modern Bluetooth earphones. This remains a popular gifting option for fitness enthusiasts and anyone who appreciates wireless solutions. While we are quite a bit away from the 2016 frenzy over smartwatches, these remain a popular gifting option. With the recent announcement of the updated Apple Watch, expect interest in this category to spike up in 2017. Pick this product if you’re targeting tech and fitness enthusiasts. 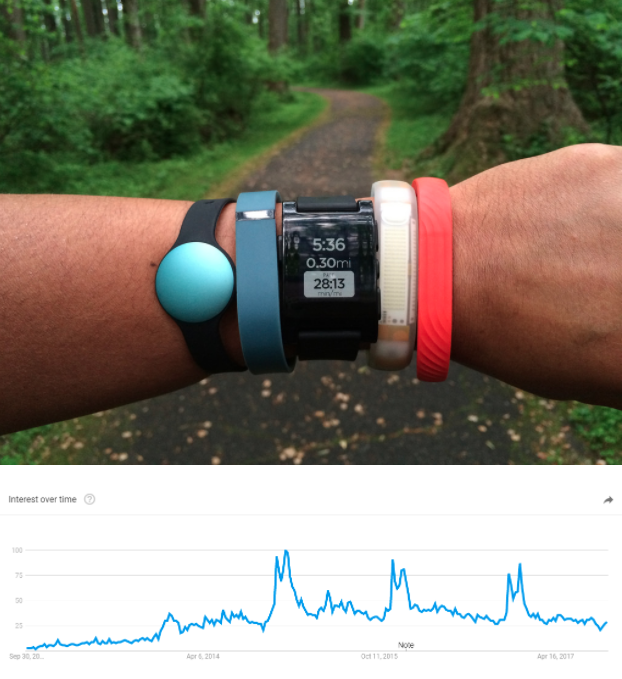 Activity trackers (or fitness trackers) have been a popular gifting item for the last several holiday seasons now. 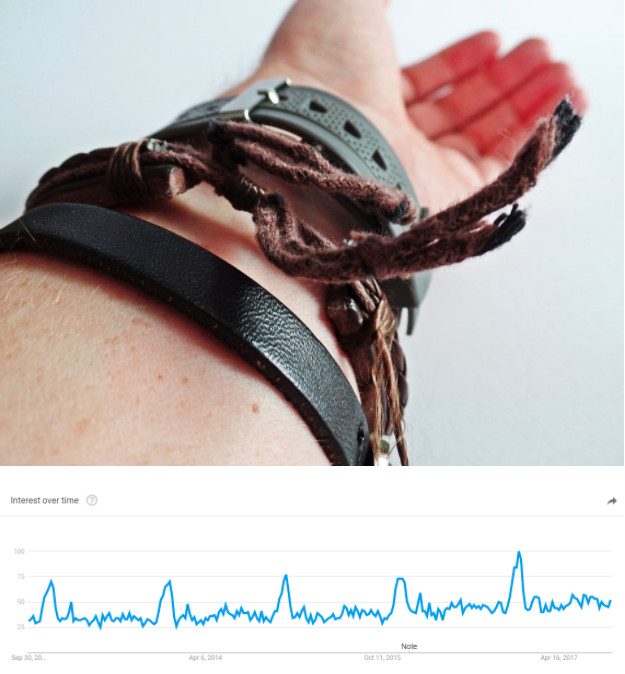 As the name implies, these little wristbands track your activity (daily steps, heart rate, etc.) and help you stay on top of your fitness goals. 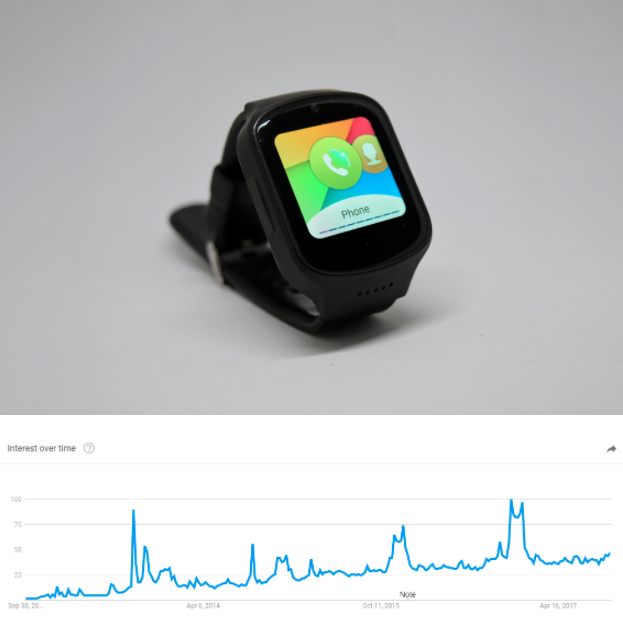 Since many people promise themselves to lose weight once the new year kicks in, selling activity trackers in the holiday season makes a lot of sense. Action cameras refer to a category of rugged, wearable cameras that can be attached to your arm, leg or helmet for capturing activities. 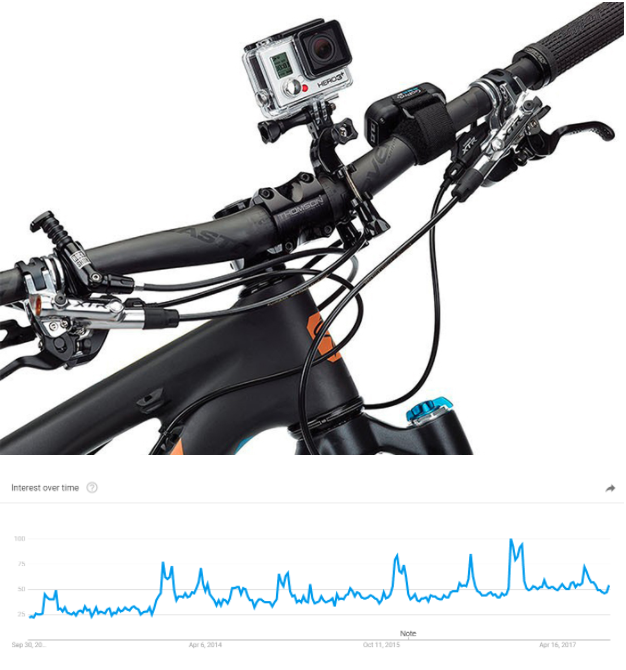 GoPro is arguably the most famous brand in this category. If your store caters to fitness enthusiasts or outdoorsy people, this would be a particularly good item to stock. Smart scales are WiFi enabled weighing scales. 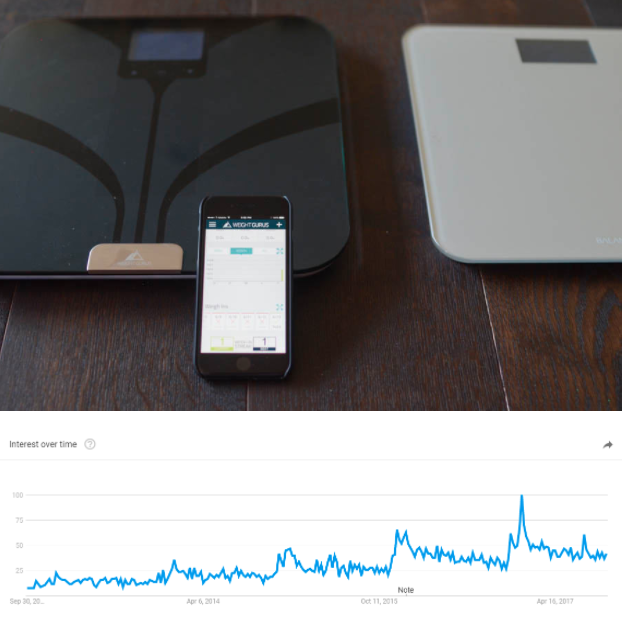 The scale syncs to your phone, making it much easier to keep track of weight over time. Like activity trackers, this is another popular gifting option for the holidays as people get ready for their January resolutions. Modern smartphones keep evolving, packing in more storage, RAM and processing speed into ever thinner cases. 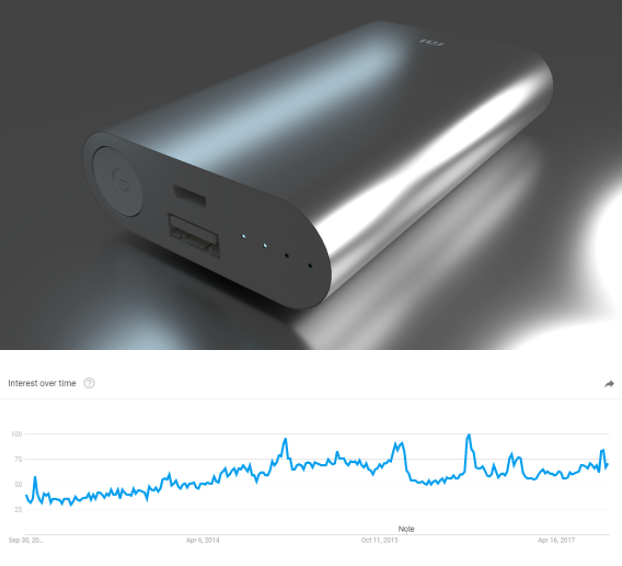 Their batteries, however, are largely the same — inefficient and inadequate for heavy use. No wonder that power banks (also called portable chargers) remain a popular gifting option for the smartphone generation. There is a huge variety to choose from. Pick a trusty brand and stock it with phone accessories for a holiday season boost. 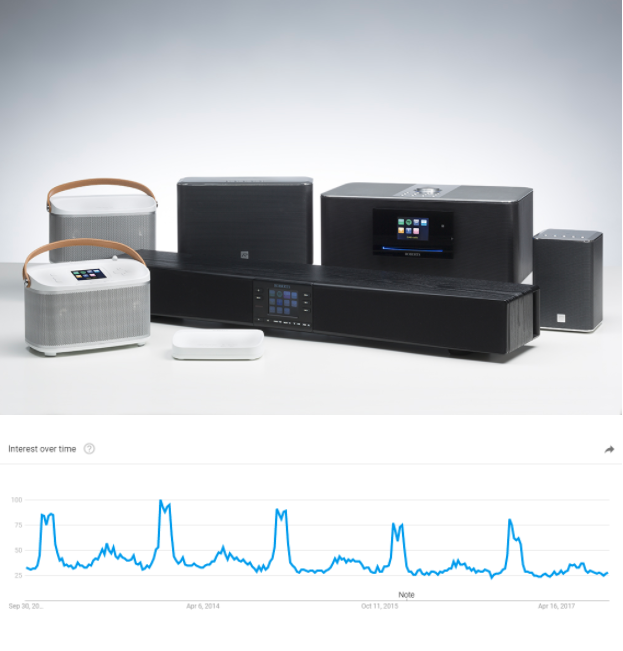 Wireless speakers are a safe bet for the holiday season. 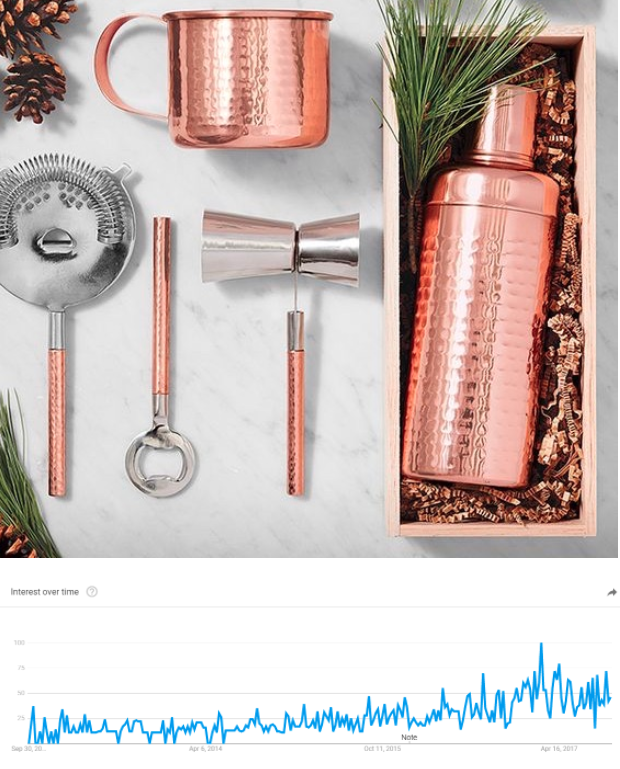 There is always interest in this product category (just note the periodic interest spikes above) since it’s a safe gifting option. After all, individual tastes might vary, but everyone loves listening to music. Another holiday favorite for kids (and adults who are still kids at heart). This season should be particularly hot thanks to the release of a bunch of new gaming consoles — XBox One X, Playstation Pro, and Nintendo Switch (which is Nintendo’s fastest-selling console ever). 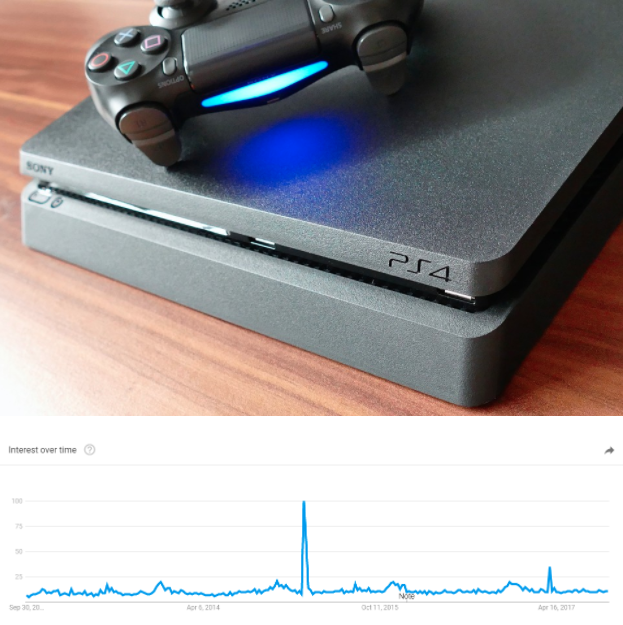 Don’t forget to stock gaming accessories along with consoles: controllers, cables, headsets, adapters, etc. 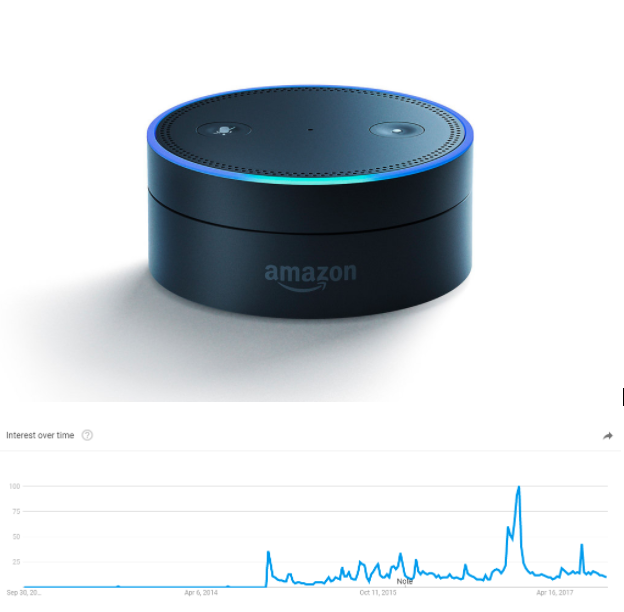 Smart home enthusiasts love Amazon’s speaker and virtual assistant, the Echo. This popular gifting option will not only play your music, but will also tell you the weather, find you recipes and even order your favorite products for you. This is a relatively new category of products that has exploded in popularity recently. 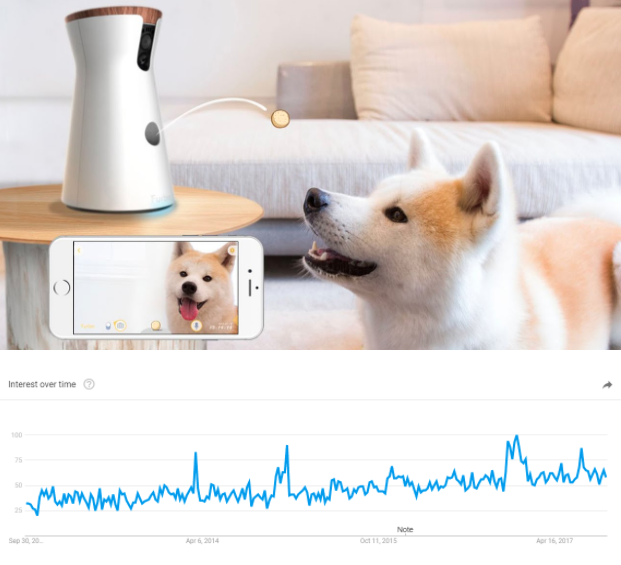 The idea is simple: a small camera that monitors your dog’s activity while you’re away from home. Some brands, such as Furbo, even offer interactivity — you can press a button on your phone to make the camera unit toss treats. A great gifting option for dog parents! Copper is a natural disinfectant. Studies show that 99.9% of E.coli microbes are killed within 2 hours of getting in contact with copper. Thanks to this wonderful antibacterial property, copper water bottles have become a popular gifting option. Not only do they look good, they also make your water healthier. 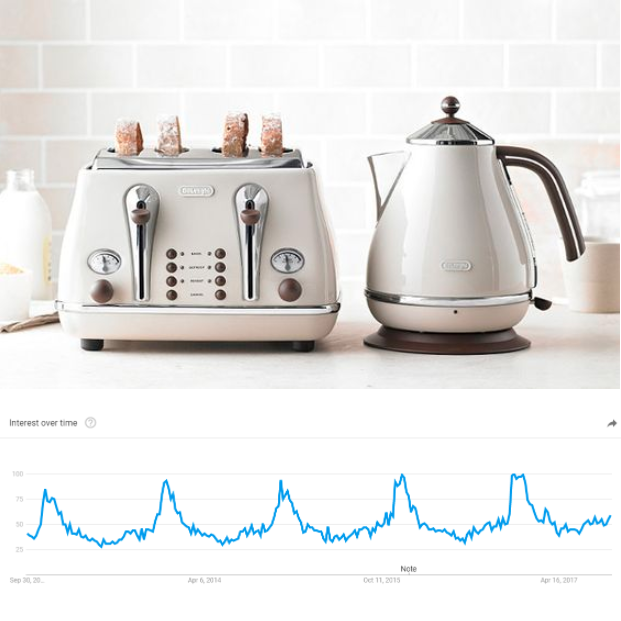 A common fixture in most households, the electric kettle is especially becoming popular around winters as the above chart shows. With tea drinking on the rise, the electric kettle will be a favorite gifting option this winter as well. Let’s face it, coffee is an obsession. 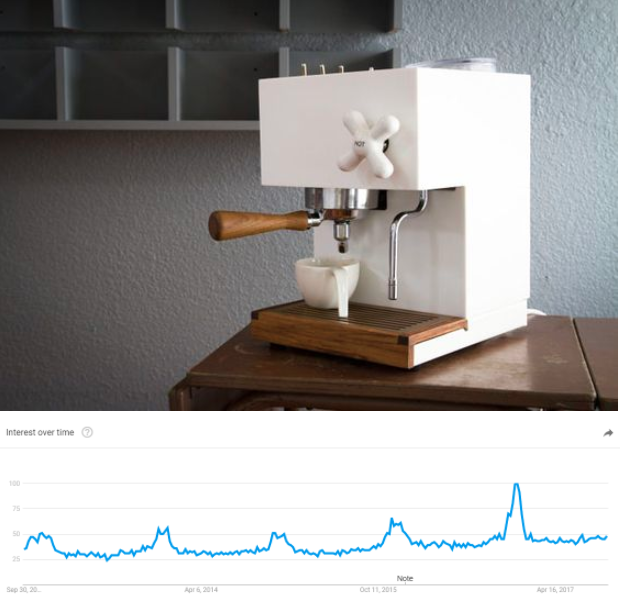 The demand for coffee machines keeps growing. There is a huge range of products to choose from in this broad category: automated coffee machines, espresso makers, etc. The good part is that you don’t have to go too narrow with coffee machines; a majority of your audience will be coffee drinkers anyway. A set of quality knives — from Germany, Japan or America — are a great gifting option for cooking enthusiasts. 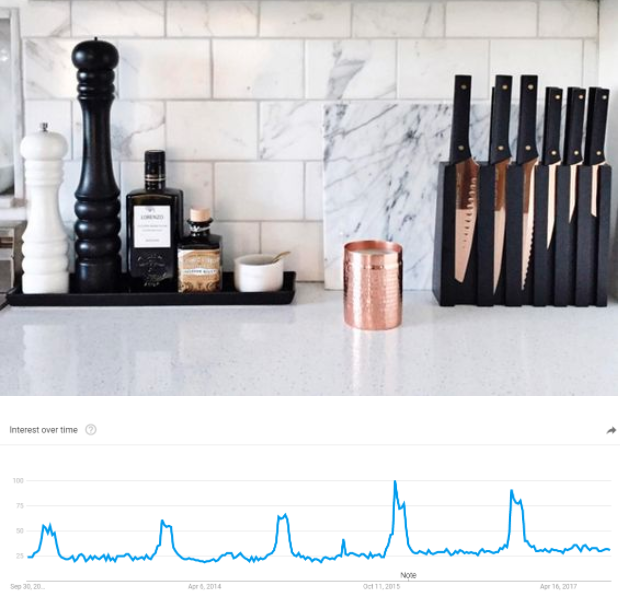 The demand for knife sets is steadily increasing as the above graph shows. If you’re stocking kitchen products, don’t forget to sell some respected knife brands such as Shun, Miyabi and Wusthof. Vacuum cleaners are always a good gifting option. 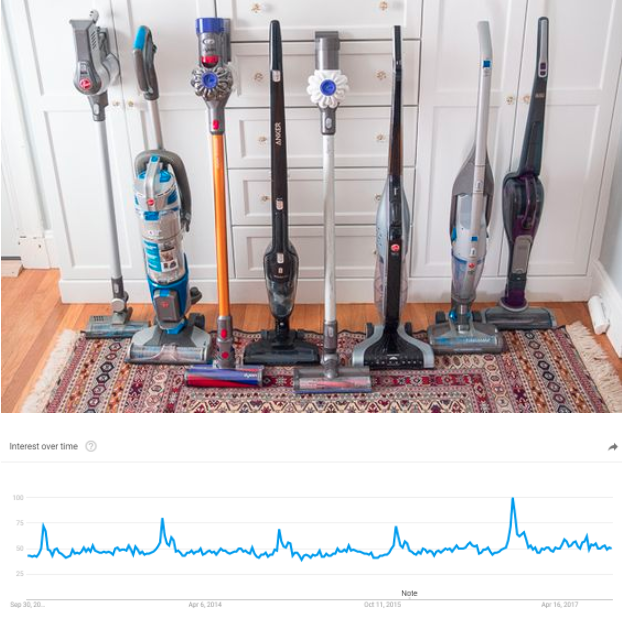 You can choose from robot vacuum cleaners like the Roomba, or pick a traditional offering from a top brand like Dyson. If you’re targeting homeowners, this would be a great option to stock. 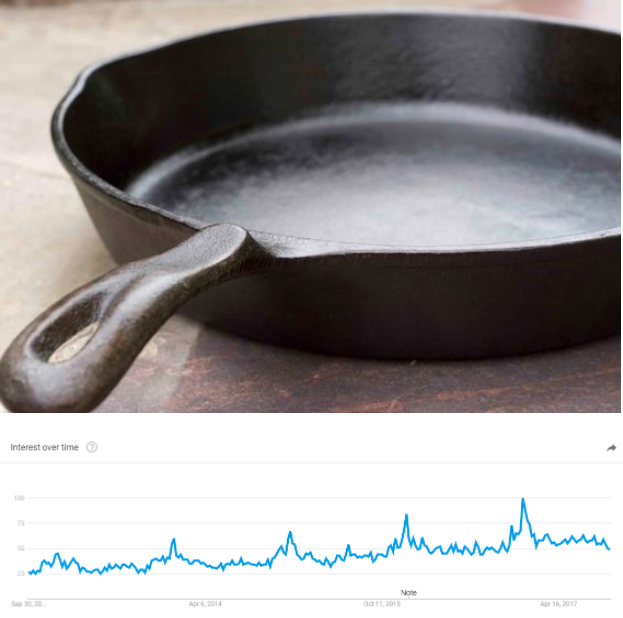 From steaks to sandwiches, there is nothing a quality cast iron pan can’t cook. Serious cooks swear by it and it remains a popular gifting option for home cooks. 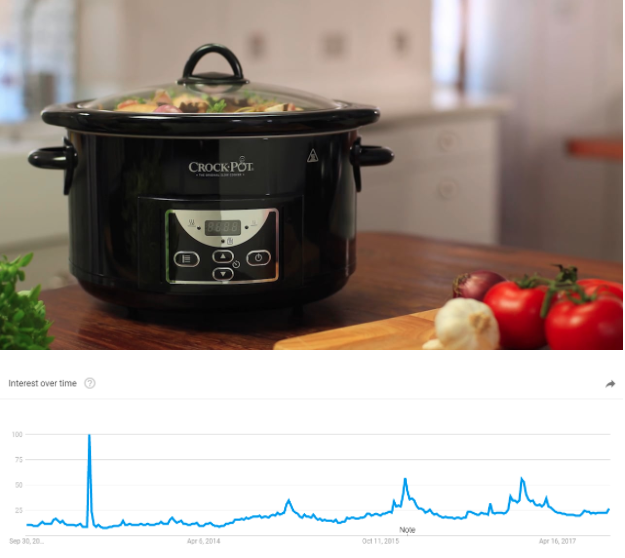 From a relatively little-known kitchen utensil, pressure cookers have grown exponentially in popularity in the last few years. These nifty devices make it incredibly easy to cook virtually anything in minutes. Stock these for aspiring chefs, home cooks, and anyone short of time. With whiskey sales soaring around the world, it’s a good time to stock whiskey stones. These stones can be frozen and used in place of ice cubes to keep your drink cold. A great option for whiskey enthusiasts who’d rather not water down their alcoholic beverage with water. 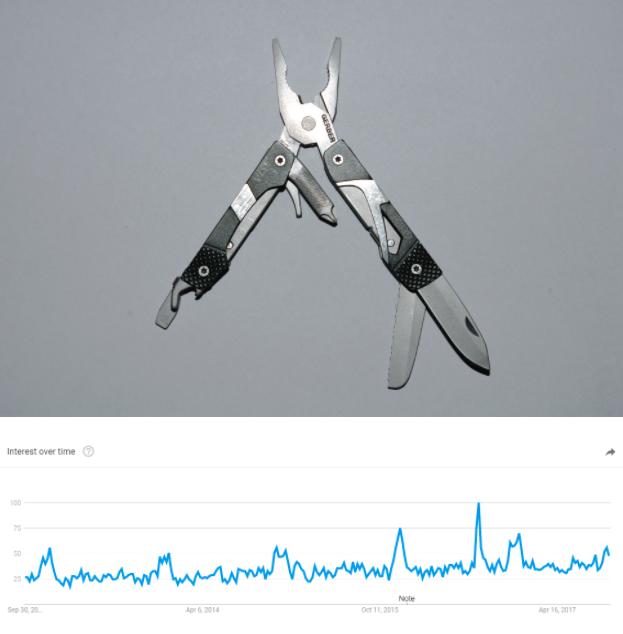 Think of multitools as the home improvement version of the Swiss army knife. They pack in multiple tools such as pliers, scissors, screwdrivers, knives and saws into a single handy unit. If you’re targeting DIY enthusiasts, this is a great product to keep in stock. Gifting people clothes, shoes and accessories is going to remain a popular option as long as there are holidays. This is one category you can’t go wrong with. Let’s look at some products in this category to sell this season. Gifting sunglasses is good. Gifting sunglasses that are also eco-friendly is better. 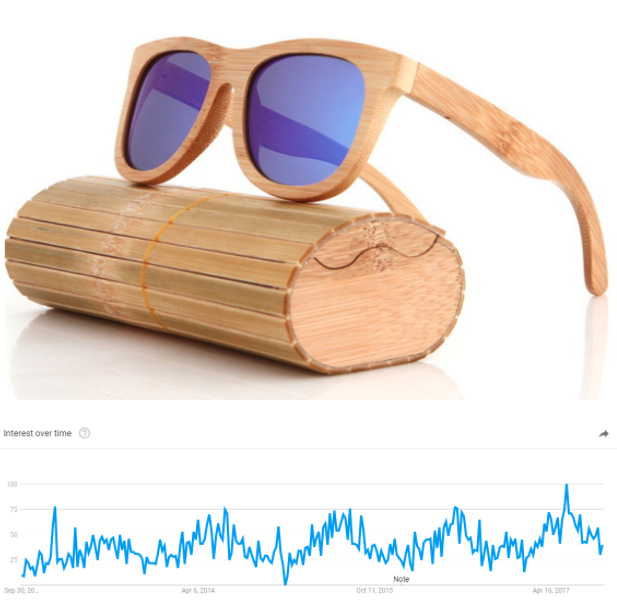 Bamboo sunglasses (i.e. sunglasses made from bamboo wood) make for a great gifting option for eco-conscious people. They’re also easy to store and won’t go out of fashion any time soon — the perfect item to stock for the holidays. Men are increasingly wearing some form of jewelry, and the search interest in men’s bracelets is a perfect example of this trend. Men’s bracelets come in a huge variety of shapes and designs. Stock something that seems relevant to your target market this holiday season. 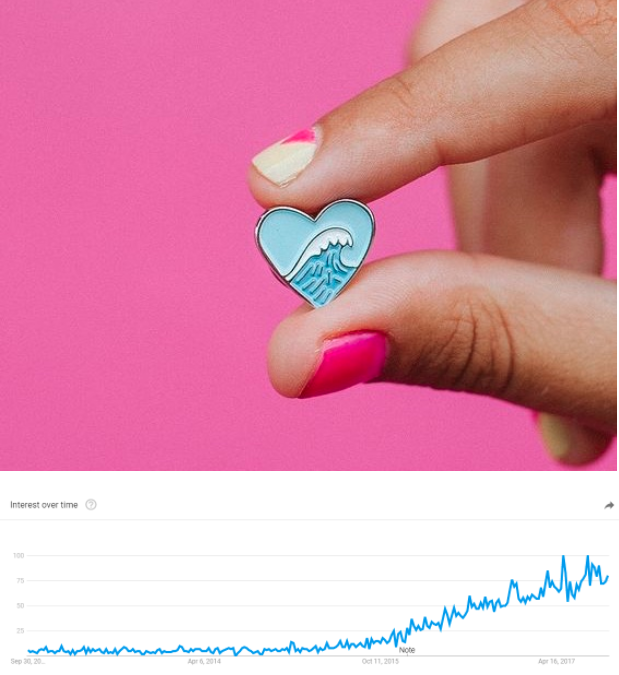 These adorable little pins are everywhere — just look at the graph below! Keep some of them in stock this holiday season to cater to your more quirky and fashionable shoppers. They’re cheap, easy to stock and make for great stocking stuffers. You can’t really go wrong with cashmere sweaters. A winter favorite made from the world’s finest wool, cashmere sweaters spike in popularity around the holidays every year. The best part, you can target both men and women with this product. 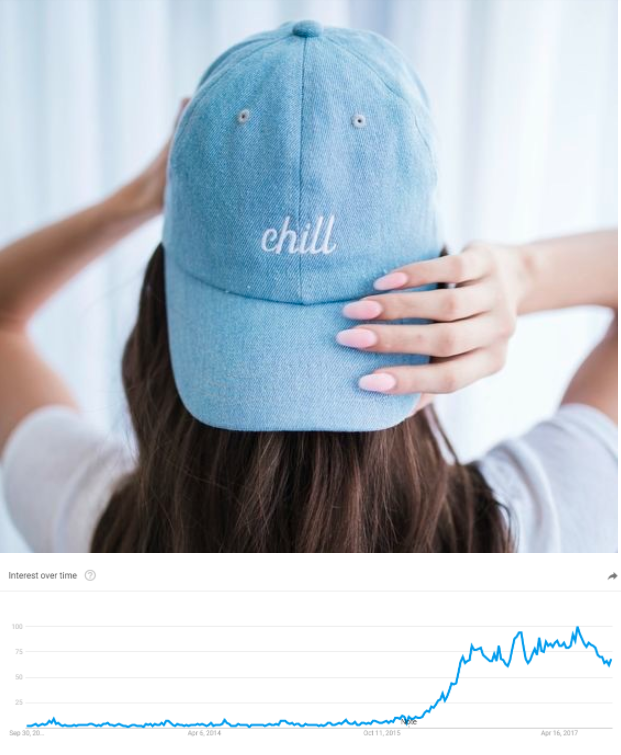 Move over trucker hats, dad hats are clearly the headgear trend of this season (see the graph below). These whimsically named men’s hats are based off the classic baseball hat design from the 90s. Evoking a distinctly retro feel, these hats have come back in popularity, especially among streetwear enthusiasts. A great option if you’re targeting young, trendy men and women. These are conventional scarves, but with a twisted fringe at the bottom that makes them ideal for wearing with coats. These are a more fashionable alternative to traditional scarves. You can stock them for men or women. The raw denim trend has stayed course for over 3 years. Raw denim, for the uninitiated, is untreated denim. It’s usually thicker, more durable and offers a better fit than conventional denim jeans. Given that this trend isn’t showing any signs of slowing down, selling raw denim jeans (and related products) is a good option for the holidays (for both men and women). When you’re selling products for the holidays, you can’t really go wrong by targeting hobbyists. Hobbyists, by their very definition, care deeply about their hobby and are happy to splurge on them. Here are some hobbyist products to sell this season. Arduino, the tiny, affordable computer on a chip, is much loved by electronics enthusiasts for its low cost and flexibility. A basic Arduino kit takes all the guesswork out of making your own electronics projects. 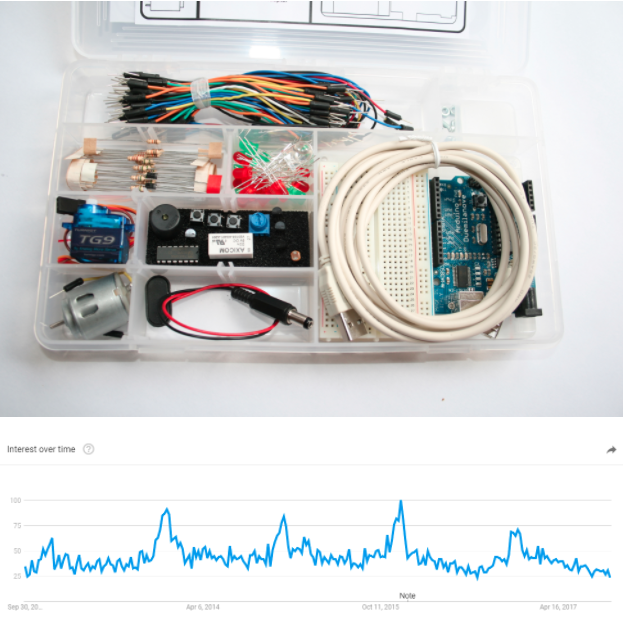 Just grab a kit, follow the instructions, and get your first Arduino project off the ground. If you’re targeting tech enthusiasts and makers, this is the perfect product to stock this season. 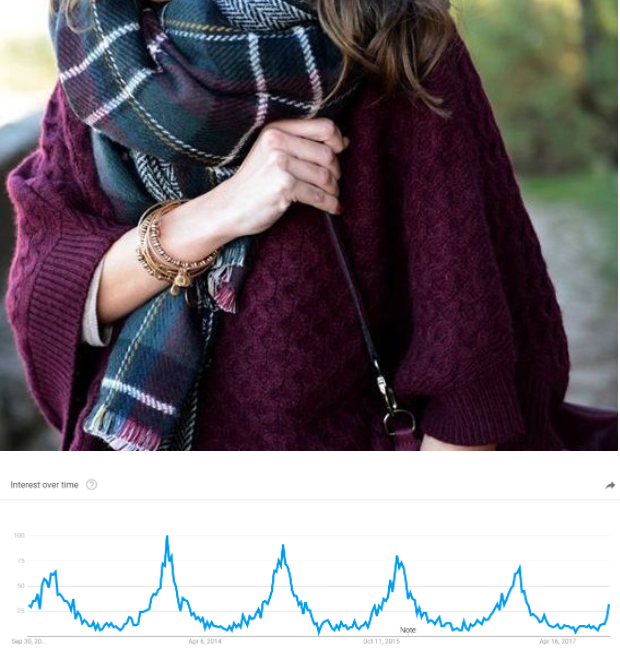 The Instagram-generation is also the most travel-happy generation. In fact, international travel is even expected to rise by 35%, led primarily by Millennials and Generation Z. 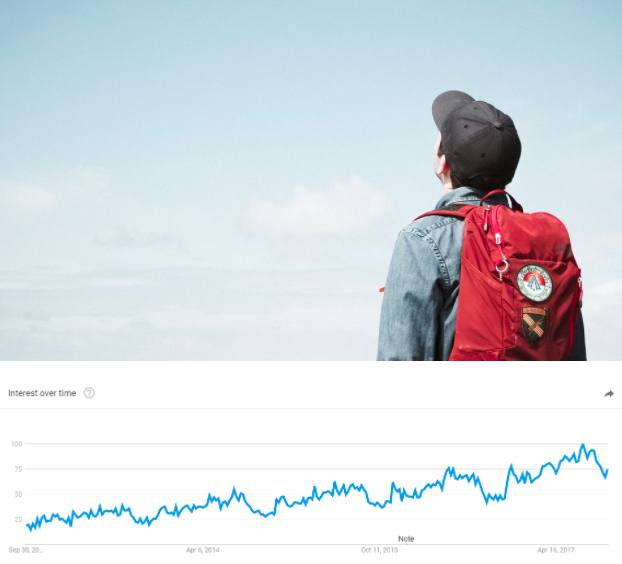 Sell travel backpacks to target this generation of travel enthusiasts. 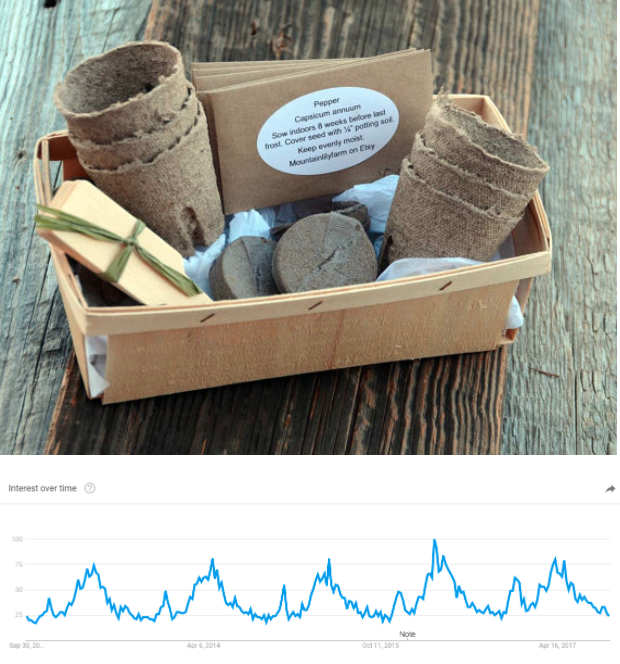 From retirees to teenagers taking their first shot at growing something, the humble garden kit has a broad customer base. Most garden kits combine everything you’ll ever need to grow something (such as a set of herbs) in a single box. This convenience makes them easy to stock and easy to sell to hobbyists and enthusiasts. 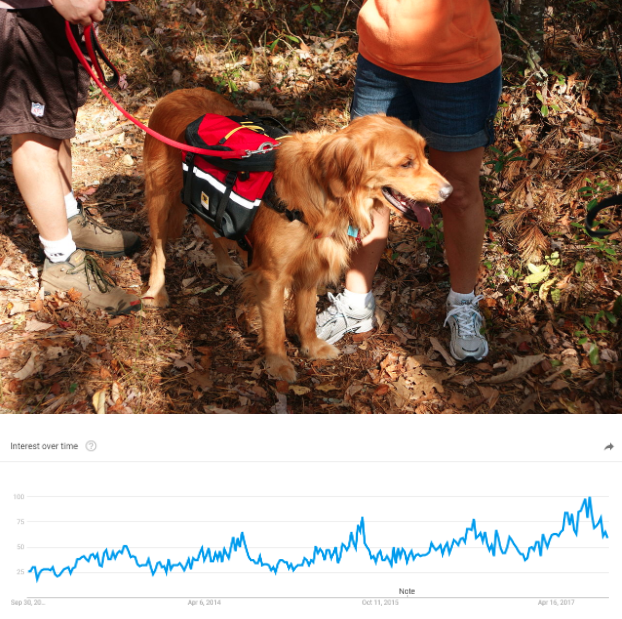 If you like to take your dogs on hikes, you’ll love the dog backpack. This is exactly what you think it is – a tiny backpack you can strap onto your dog’s back. Given the rise of first-time dog ownership among millennials and our current outdoors fitness culture, this is a great product to sell these holidays. The last decade has seen a tremendous increase in the number of rock climbing gyms. Worldwide, there is more interest in rock climbing and bouldering than ever before. 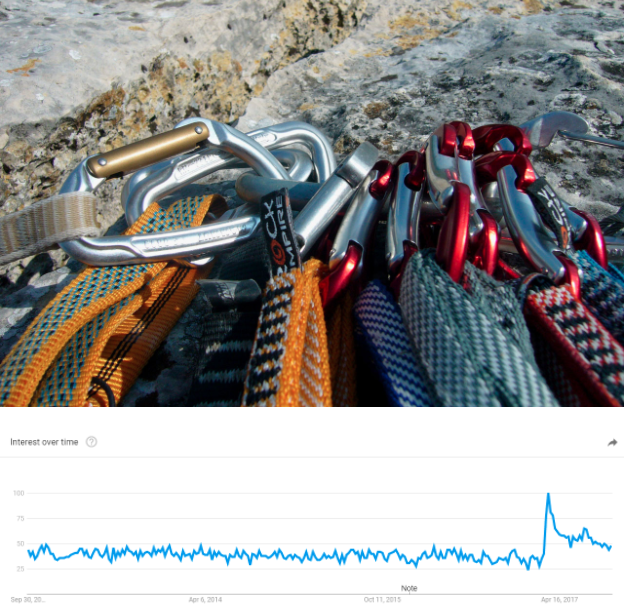 Just look at the interest graph for climbing gear for starters. If you’re targeting fitness enthusiasts and hobbyist climbers, this is a very trendy product category to sell this season. That concludes our list of products to sell this holiday season. Some of these products are evergreen, some others in-trend for this season alone. Stock a healthy mix of both these product-types to maximize your revenues. Finally, take the above ideas as suggestions only. The holiday season is different across the globe. Some gifting ideas that might be perfect for one country or region might not make sense in another. Do your own market research to determine feasibility before choosing any particular product category. What are your holiday season best-sellers? Share in the comments below! Images via wikimedia.org, pexels.com, flickr.com, pixabay.com, youtube.com, pinterest.com, vimeo.com, etsystudio.com, publicdomainpictures.net.